After a brutal break-in that left her family traumatised, Trish Feenan jumps at the chance of a fresh start in a charming historic town. 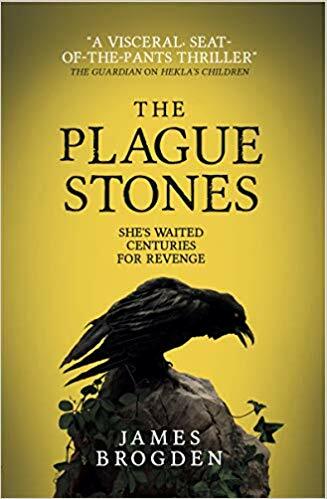 But in the back garden of her new cottage sits an unsettling reminder of past wrongs: a standing stone, once one of the markers that kept plague sufferers outside the village bounds, its ‘powers’ renewed every year in a ritual that seems to be more than just local oddity. A dark and eerie tale of vengeance that explores what evil really is. Fans of M.R. Carey, Tim Lebbon, Sarah Lotz, and Lauren Beukes will revel in the underlying tension and deep-seated paranoia that runs parallel to the hellish scenes of murder, death, and decay. JAMES BROGDEN is the author of The Narrows, Tourmaline, The Realt, Hekla’s Children and The Hollow Tree. His horror and fantasy stories have appeared in anthologies and periodicals ranging from The Big Issue to the British Fantasy Society Award-winning Alchemy Press. He now lives in Bromsgrove, Worcestershire with his wife and two daughters. The Plague Stones is published on 14th May and is available to pre-order now.